The House of Walters: Mini Va-Ca!!! Our Mini-Va-Ca is here! For those of you who don't know, Jeff & I are traveling to Louisville, Kentucky where Jeff is competing in the Ironman! We are making a full week vacation out of the competition. We will be stopping in Calmo (California, MO) to visit Jeff's parents. Then we are off to spend a day in St. Louis, MO where we are going to the St. Louis zoo, visit the Arch and possibly attend a Cardinals Baseball game! 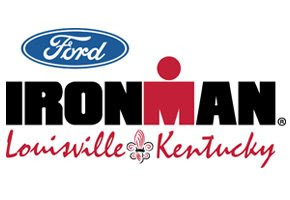 We will be in Louisville for nearly five days with the actual Ironman being on Sunday. The Ironman competition is 140.6 miles. All athletes are allowed 17 hours to complete, if they do not finish in 17 hours, then they don't get to finish. Jeff is wanting to finish....no matter if it takes 16 hours and 59 minutes! Of course we are hoping for a shorter day than that! The reason I am sharing our journey with all of you is because we are going to use this blog as a place to update family and friends with our trip! You may see a lot of photos and lots of updates (especially the day of the race)! So, for those of you who are fairly uninterested....my apologies. I am super proud of Jeff and the ability to travel 140.6 miles by swimming, biking and running. I know that I would not be able to accomplish it, nor would I want to....but I am proud of him for doing it. Please pray for our travels and his safety while doing the Ironman. All of my friends husbands are suddenly these mega athletes. It is very disconcerting. What a huge deal! Have a great time - can't wait to hear all about it! And don't worry, Sarah, Ben will never compete in an Ironman. Yeah....it isn't one of those things that makes the wife feel good about themselves! I will not be doing a triathlon or Ironman in my lifetime, and I will never be in as good of shape as Jeff...I have come to terms with it.